Grover Beach police arrested three men and one woman Thursday in a bust that produced methamphetamine, paraphernalia, prescription pills and gang propaganda. At approximately 4 p.m., officers served a search warrant at a home in the 1000 block of Nice Avenue. Officers arrested Raul Trejo, 34, Gustavo Trejo, 30, Addison Cravens, 30, and Esteban Zuniga, 35, all from Grover Beach. 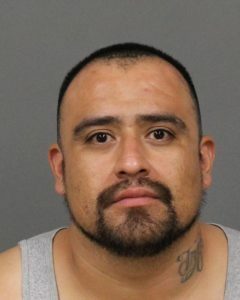 Gustavo Trejo was charged with possession of ammunition, possession of prescription pills, possession of narcotics paraphernalia and for maintaining a residence that allows the sale and transportation of narcotics. Zuniga faces charges of a felony parole violation. Raul Trejo and Cravens were charge with misdemeanors. During the bust, one woman was injured when she fled the home on foot. She was treated at a local hospital but not arrested. During the raid, a city building inspector red-tagged the home because of code violations. More of the same, where is ICE when you need them? The ‘Dreamers’ are only here for a better life. Someone doesn’t know what a Dreamer is, or is just a fan of obfuscation. Also, the girl arrested is white and from a wealthy family in the outskirts of Santa Maria. She lived a very privileged life. Which proves that money can ‘t buy you class or common sense.